Happy Monday, everyone! Today I have an interview with Ana Brazil, author of Fanny Newcomb and the Irish Channel Ripper, to kick off her blog tour! I highly recommend Fanny Newcomb and the Irish Channel Ripper, it's a wonderful book with three strong leading women. I loved, loved, loved it! Don't forget to enter our giveaway at the end of this post for a chance to win a copy! Hello, Ana and welcome to Passages to the Past! Thanks so much for stopping by today to talk about Fanny Newcomb and the Irish Channel Ripper! To begin, can you please tell us a little about yourself and Fanny Newcomb and the Irish Channel Ripper. Thanks, Amy! I’m glad to be here! I live and write in California, but have a deep connection to New Orleans and the south. And I have a masters’ degree in American History from Florida State University. 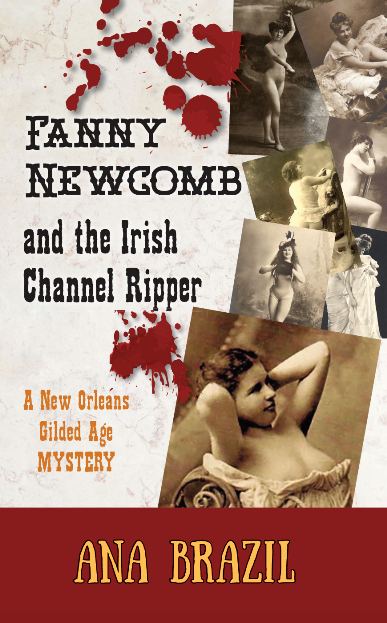 Fanny Newcomb and the Irish Channel Ripper is my first novel and the beginning of my Gilded Age New Orleans series, which features Fanny and her friends. What inspired you to write Fanny Newcomb and the Irish Channel Ripper? I’ve always enjoyed reading historical fiction and was always surprised that there were so few southern heroines. Other than Gone with the Wind, where were the stories about brave, clever, and adventurous southern women? Since I had researched and written my masters’ thesis about socially active late 19th century women in New Orleans, I was sure that these women existed. And my very vivid imagination was sure that these women could solve any murder mystery that New Orleans could throw at them. In one sense—and I’d say this is true for every storyteller—the first chapter is always the hardest scene to write. My first chapter had to perfectly introduce Fanny and get the story rolling. I really like the scene where Fanny, Sylvia, and Olive are talking on the rooftop of Wisdom Hall. Everything has been so hard and disagreeable between them, and finally, they relax a bit and reveal themselves to each other. What would you like readers to take away from reading Fanny Newcomb and the Irish Channel Ripper? If you really think you’re supposed to be doing something, do it. Fanny really believes that she’s supposed to be using her smarts to solve her student’s murder. 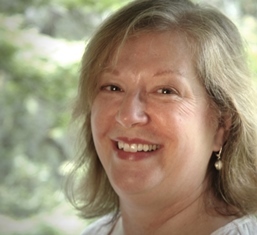 Sylvia believes that she’s supposed to offer education to immigrants. Olive knows that she’s a doctor. When you listen to your heart (especially when it comes to that “what’s my life about” question), you can reach incredible success and satisfaction. Why did you choose to set the novel in Gilded Age New Orleans? I wanted to incorporate the “Jack the Ripper in the United States” mythology, and since he committed his London crimes in 1888, I set my story in 1889. And I couldn’t not write about New Orleans! Gilded Age New Orleans is such a rich, complex, and dangerous locale. What type of research did you undertake when writing Fanny Newcomb and the Irish Channel Ripper? I’ve read 1889 New Orleans newspapers until my eyes wore out; I’ve toured New Orleans’ Gilded Age buildings and neighborhoods; and I tried to read a lot of biographies of brave and enthusiastic women of the late 19th century. Almost always; definitely since grade school. Once I read Little Women, I had to be Jo March! Gail Carriger inspires me because she’s so imaginative and wild! It must have been Little Women. But I also remember reading Caddie Woodlawn. I just finished Amy Stewart’s Girl Waits with Gun. Loved it! And I also want to mention Kate Warn: Pinkerton Detective by Marissa Moss and April Chu. It’s historical fiction for children and is so beautifully written and illustrated. I really enjoyed listening to Ken Burns’ The Civil War when I wrote Fanny Newcomb and the Irish Channel Ripper. So my soundtrack would have lots of brass bands, slow waltzes, and soft guitar music. Then I’d add some spirited Irish waltzes! And a version of “If Ever I Cease to Love”, which was written in 1871 and used as the royal anthem for Rex, King of Carnival. I’ve always had a cat and a dog and can’t imagine living without at least one of each. I performed in many, many children’s theater productions when I was in elementary school. I love to bake! Need some brownies, bread, or cheesecake? Call me! I like mysteries because I like to solve problems. I like the resolution of a mystery and seeing that justice returns to the world, and that most characters are just a little smarter and a little more self-aware from their journey. Definitely late 19th and early 20th centuries America. And then the same period in England. But I’ve always wanted to slow down for a while and concentrate on reading just Revolutionary and Colonial American historical fiction. I’m totally in love with Colonial Williamsburg and would love to live there for a summer and just read, read, read Colonial American historical fiction. Well, the dog always needs to be walked and the cat always needs to get scritched! And I play the bluegrass mandolin. After a long day of writing, it’s so wonderful to tune up the mando and make some music. My friends and I call it “Fanny 2”, but the working title is Fanny Newcomb and the French Quarter Laudanum Lover. It’s “what happens next” to Fanny, Sylvia, Olive, Lawrence, Daniel, and Clarence.